Has its fair share of ticks and pops here and there (I went through two copies). Not the quietest pressing, but the music sounds good. I do appreciate the MoFi-style inner sleeve it comes with though. side one of my copy is correct. side two, although labeled as this album, is in fact side two of Laura Nyro / Labelle - Gonna Take a Miracle. has anyone else ever come across this? My CD player gives on display only 11 tracks instead of the 12. Who can me give an answer? The Music on Vinyl version says 'Audiophile pressing' but I question this bold statement...was this taken from the original masters? I doubt it so how can it be Audiophile? My MOV copy of this album sounds really quiet and muffled. Just buy the OG if your tempted. Anyone have any info on a recording of this album on ROT by R.O.R. Music Production? Same music but different label. THanks in advance. There's A Riot Goin' On is a title that operates on many levels and yet, to this listener, even after owning and listening to this classic album numerous times over the last decade certain parts of the riot in question remain subsumed. It contains the wonderful gems 'Family Affair', '(You caught me) Smiling', 'Runnin Away', 'Poet', 'Thank You' etc. yet there is a certain darkness and palpable world weariness that holds the mood generally. The production fluctuates with beautifully stated brass, bass and drum captures next to the sweet early 70's drum machine underpinnings to not such great live drum sounds. This lack of consistency could also apply to some of the song constructions, but perhaps both could be explained due to the surrounding circumstances in which the album was completed. 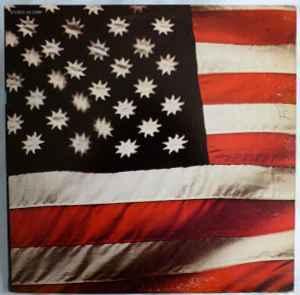 Nevertheless this is a pulsing compelling collection of soulful pieces (with dark edges) that will remain forever an essential Sly & Family Stone release. Significant album characterising the black oppression at the end of the ‘60s. Instead of the previous bright, cheery rock-laced soul, ‘There's A Riot Goin' On’ is filled with dark instrumentation, filtered drum machine tracks, and plaintive vocals. Dubbed, over-dubbed and modernised, this album was groundbreaking, and black pop music was never the same again. Allegedly, most of the album is performed by Sly alone, who enlisted the Family Stone for some of the additional instrumental parts and friends such as Billy Preston, Ike Turner, and Bobby Womack for others.